Announcing a new category for you wonderful and creative people – The Countesses CoozyDoozy Award: design and build a ‘tea cosy’ to cover your rig, it must cover your rig in the standard manner (but does not need a bottom). You don’t have to be racing to enter this category. It will be judged on Saturday 4 June at the Splendid Teapot Racing event @ the Oamaru Club in conjunction with Steampunk Festival NZ. There are totally no rules it can be as far out or as traditional Victorian as you like – surprise and delight me! It can be glued, electric, painted, knitted, stitched, welded, laser cut, paper mache, foam, quilted, feathered, camouflaged, fluffy, hard, angular, copper, metal, kinetic etc. 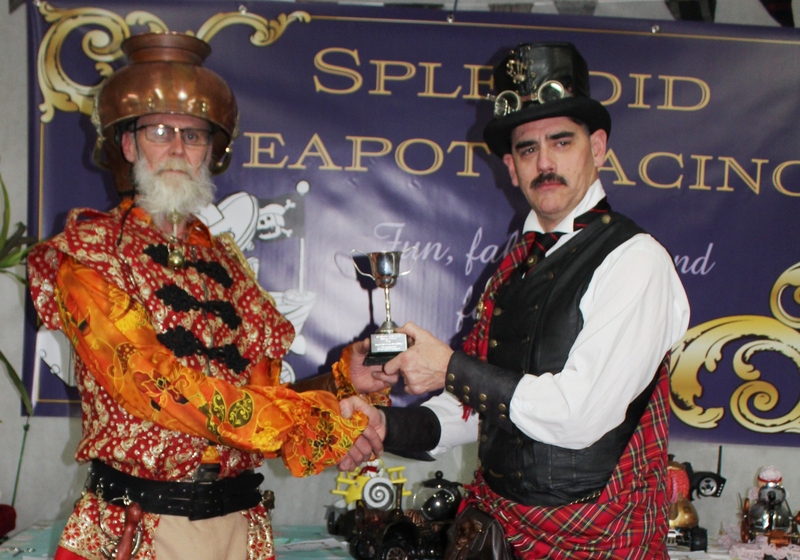 I look forward to seeing all the creations at the Splendid Teapot Racing @ Steampunk Festival NZ, Oamaru .